Nitin Kakkar’s Notebook which hits the screen next Friday has been creating immense buzz owing to the debut actors, Zaheer Iqbal and Pranutan. 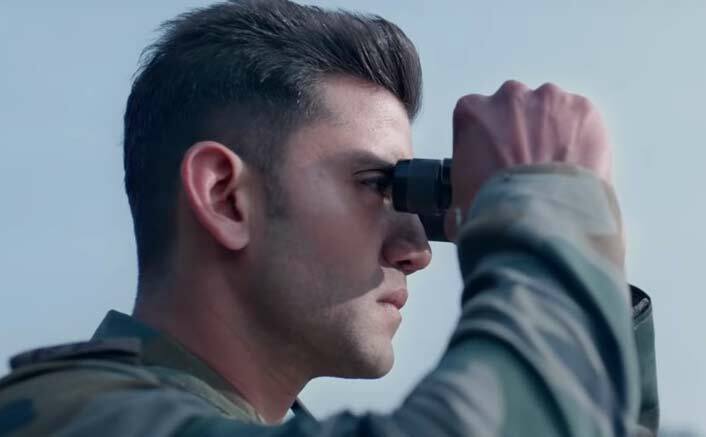 While Zaheer Iqbal and Pranutan are seen teaching young kids in the trailer, it is a lesser known fact that the debutant also plays a soldier in the film. Shedding light on Zaheer Iqbal’s character a little more, the film extracts the versatility of the debut actor as he essays an army officer in some parts of the film. The trailer gave glimpses of a battlefield, intriguing the relevance of the war amidst an unconventional love story. Engaging the audience further, the film has left everyone hooked to know how a soldier turns into a teacher. The young actor is extremely proud to play an Indian soldier though for a limited part. To ace his part, Zaheer underwent immense training and groomed himself by gruelling and rigorous sessions to get the perfect look. All set for his big screen debut, Zaheer Iqbal has already created an immense buzz around the film. Zaheer Iqbal did a freezing stunt for his debut film. The recently released song ‘Bumro‘ showcased the debutant actor diving in the lake. Recently the makers are treating the audience with the short videos of Dialogue promos the recent one is capturing the funny moment of Pranutan’s chase to attain a letter which is lost amidst a natural situation. The post Notebook: Here’s How Mentor Salman Khan’s Favourite Zaheer Iqbal Prepped For His Role! appeared first on Koimoi. Previous ArticleBhuj: The Pride Of India On ‘How’s The Hype?’: BLOCKBUSTER Or Lacklustre? Next Article Javed Akhtar Gets SHOCKED Seeing His Name On The Movie PM Narendra Modi’s Poster!